Architura was commissioned to design and create details and specifications for a new assisted living and memory care campus Lafayette, Indiana. 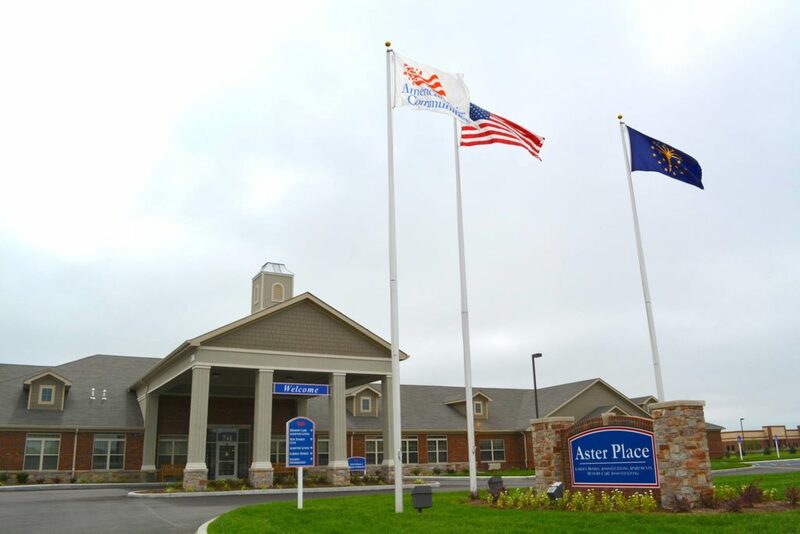 The new assisted living and health care complex is called Aster Place. Aster Place was designed as a total service community for seniors housed in a friendly full service environment. Architura’s design included a complex commercial kitchen and multiple dining rooms. Other amenities included activity areas, a library, beauty shop, commercial laundry, nurses’ station and public restrooms. The completed project resulted in a fully enclosed living community punctuated with interior court yards, extensive gardens and day lighting.